Higgs and Barker specialise in quality used cars in Bridlington which are competitively priced. We prepare all of our used cars to a high standard both mechanically and cosmetically. 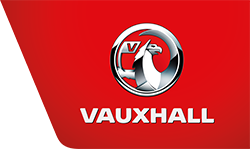 Although we specialise in nearly-new and used Vauxhall cars, we also sell other makes and models. All used cars under 10 years of age, under 100,000 miles, over £2500 in value and outside of manufacturer warranty come provided with a minimum of 12 months’ RAC Warranty at no extra cost, and there is the option to extend this for up to a further two years. As a further reward, we also offer on these vehicles the option of a complimentary 12 Month RAC Breakdown & Recovery Assistance package. We fully HPi history check all of our used cars, and they are mechanically inspected in our Vauxhall Masterfit workshop. With respect to finance provision, we are regulated by the Financial Conduct Authority and can introduce you to a limited panel of lenders. Credit facilities are available subject to status and are available to UK residents aged 18 and over. We may be paid an introductory commission by the finance lender. Please speak to one of our sales consultants who can prepare a quotation for you or, indeed, offer you a test-drive.